As was explained in Chapter 3, Section 3.2.4, power towers or central receiver systems use thousands of individual sun-tracking mirrors, called heliostats, to reflect solar energy onto a receiver located atop a tall tower. The receiver collects the sun's heat in a heat transfer fluid (molten salt) that flows through the receiver. This is then passed optionally to storage and finally to a power conversion system, which converts the thermal energy into electricity and supplies it to the grid. Therefore, a central receiver system is composed of five main components: heliostats, including their tracking system; receiver; heat transport and exchange; thermal storage; and controls. In many solar power studies, it has been observed that the collector represents the largest cost in the system; therefore, an efficient engine is justified to obtain maximum useful conversion of the collected energy. The power tower plants are quite large, generally 10 MWe or more, while the optimum sizes lie between 50-400 MW. It is estimated that power towers could generate electricity at around US$0.04/kWh by 2020 (Taggart, 2008b). The salt's heat energy is used to make steam to generate electricity in a conventional steam generator, located at the foot of the tower. The molten salt storage system retains heat efficiently, so it can be stored for hours or even days before being used to generate electricity. The heliostats reflect solar radiation to the receiver at the desired flux density at minimal cost. A variety of receiver shapes has been considered, including cylindrical receivers and cavity receivers. The optimum shape of the receiver is a function of radiation intercepted and absorbed, thermal losses, cost, and design of the heliostat field. For a large heliostat field, a cylindrical receiver is best suited to be used with Rankine cycle engines. Another possibility is to use Brayton cycle turbines, which require higher temperatures (of about 1000°C) for their operation; in this case, cavity receivers with larger tower height to heliostat field area ratios are more suitable. For gas turbine operation, the air to be heated must pass through a pressurized receiver with a solar window. Combined-cycle power plants using this method could require 30% less collector area than the equivalent steam cycles. A first prototype of this system was built within a European research project, and three receiver units were coupled to a 250 kW gas turbine and tested. Brayton cycle engines provide high engine efficiencies but are limited by the fact that a cavity receiver is required, which reduces the numbers of helio-stats that can be used. Rankine cycle engines, driven from steam generated in the receiver and operated at 500-550°C, have two important advantages over the Brayton cycle. The first is that the heat transfer coefficients in the steam generator are high, allowing the use of high energy densities and smaller receivers. The second is that they employ cylindrical receivers, which permit larger heliostat fields to be used. The U.S. Department of Energy and a consortium of U.S. utilities and industry built the first large-scale, demonstration solar power tower, called the Solar One, in the desert near tower Barstow, California. The plant operated successfully from 1982 to 1988, and the main outcome of the project was to prove that power towers could work efficiently to produce utility-scale power from sunlight. The system had the capacity to produce 10 MW of power. This plant used water-steam as the heat transfer fluid in the receiver, which presented several problems in terms of storage and continuous turbine operation. 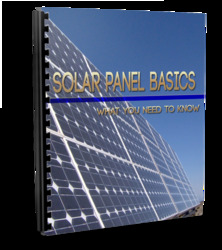 These problems were addressed by Solar Two, which is an upgrade of Solar One. Solar Two operated from 1996 to 1999. Solar Two demonstrated how solar energy can be stored efficiently and economically as heat in tanks of molten salt, so that power can be produced even when the sun is not shining. The Solar Two plant used nitrate salt (molten salt) as both the heat transfer fluid in the receiver and the heat storage media. In this plant, the molten nitrate salt at 290°C was pumped from a cold storage tank through the receiver, where it was heated to approximately 565°C and then traveled to a storage tank, which had a capacity of 3 h of storage. A schematic of the system is shown in Figure 10.5. When power is needed from the plant, the hot salt is pumped to a generator that produces steam. The steam activates a turbine-generator system that creates electricity. From the steam generator, the salt is returned to the cold storage tank, where it is stored and can be eventually reheated in the receiver. 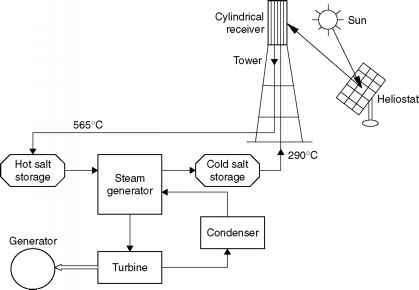 FIGURE 10.5 Schematic of the Solar Two plant. By using thermal storage, power tower plants can potentially operate for 65% of the year with no need for a backup fuel source. Without energy storage, solar technologies such as the parabolic trough plants are limited to annual capacity factors near 25%. A commercial 11 MW solar tower near Seville, Spain, called PS 10, is currently operating. A 17 MW plant is under construction in Andalusia, Spain. The plant is called Solar Tres (tres stands for three in Spanish) and will be the first commercial molten salt central receiver plant in the world, i.e., molten salt will be circulated in the receiver. With a 15 h molten salt storage system and a high-temperature, high-efficiency thermal cycle, the plant will generate 110.6 GWh/a, equivalent to 6500 h of full-load operation or a 74% utilization factor. The plant will have a cylindrical central receiver located on a tower 130 m in height. The total mirror area is 298,000m2 and will incorporate a field of 2590 heliostats, each 115 m2 in area. Another plant with capacity of 20 MW, called PS20, is also under construction. 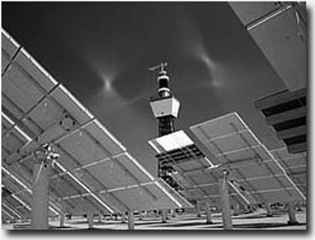 Central receiver (or power tower) systems use a field of distributed mirrors, called heliostats, that individually track the sun and focus the sunlight on the top of a tower. By concentrating the sunlight 300-1500 times, they achieve temperatures from 800 to over 1000°C. The solar energy is absorbed by a working fluid, then used to generate steam to power a conventional turbine. The average solar flux impinging on the receiver has values between 200 and 1000 kW/m2. This high flux allows working at relatively high temperatures and integrating solar thermal energy in more efficient cycles. Central receiver systems can easily be hybridized in a wide variety of options and have the potential to operate more than half the hours of each year at nominal power using thermal energy storage. The central receiver plant is characterized by the heat transfer fluid, thermal storage medium, and power conversion cycle used. The heat transfer fluid may either be water-steam, liquid sodium, or molten nitrate salt (sodium nitrate-potassium nitrate), whereas the thermal storage medium may be oil mixed with crushed rock, molten nitrate salt, or liquid sodium. FIGURE 10.6 Photograph of the Solar Two central receiver plant (source: www. energylan.sandia.gov/sunlab/Snapshot/STFUTURE.HTM). in the Almeria research center. In this plant, the solar energy is collected by 350 heliostats, each 40 m2 in area. For even higher temperatures, the wire mesh screens are replaced by porous SiC or Al2O3 structures. A European industry group, the PHOEBUS consortium, is leading the way with air-based systems. Air heat transfer receivers allow operation at significantly higher outlet temperatures, require higher operating pressures, but have relatively high heat losses compared to water-steam receivers. For these reasons, the PHOEBUS consortium developed a novel technology solar air (TSA) receiver, which is a volumetric air receiver that distributes the heat-exchanging surface over a three-dimensional volume and operates at ambient pressures. The greatest advantages of this system are its relative simplicity and safety. These make it ideal for applications in developing countries. A photograph of the Solar Two system is shown in Figure 10.6. The heliostat system consists of 1818 individually oriented reflectors made of back-silvered glass, each consisting of 12 concave panels with a total area of 39.13 m2 (see Figure 10.7), for a total mirror area of 71,100 m2. The receiver of the plant is a single-pass superheated boiler, which is cylindrical in shape, 13.7 m in height, and 7 m in diameter. It is an assembly of 24 elements, each 0.9 m wide and 13.7 m long. Six of the elements on the south side, which receives the least radiation, are used as feedwater pre-heaters, and the rest are used as boilers. The top of the tower is 90 m above the ground. The receiver was designed to produce 50,900 kg/h of steam at 565°C with the absorber operating at 620°C. 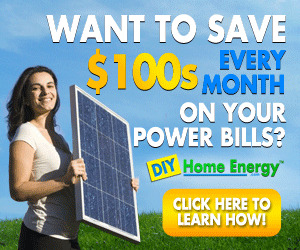 A detail of the receiver of Solar Two is also shown in Figure 10.7. The general requirements to install a solar tower plant are a site with high direct normal insolation, and the site needs to be level and have available water for the cooling towers. FIGURE 10.7 Heliostat detail of the Solar Two plant (source: www.energylan.sandia. gov/sunlab/overview.htm).